Ashley Callahan describes how construction processes, urban architecture, her father’s continuous remodeling of their house and demolished buildings have all been a powerful influence on the jewelry of Demitra Thomloudis. Using primarily nonprecious materials, including salvage, fabrication methods and miniature imagery, Thomloudis’s purpose, above all, is to “ignite conversations” in her objects. Ten thousand years of footwear worn in the American West is chronicled by the Museum of Indian Arts and Culture, featuring sandals and moccasins, including contemporary examples by noted Native American artists. David Updike describes how self-taught Wendy Stevens uses industrial materials and initially a minimum of tools to make her metal purses. After a fire destroyed her studio, she forged ahead by adopting new methods and materials: CAD design and photo-etched stainless steel for her award-winning new ork. The Jewish Museum in New York City brings together Jewish dress from across the world in this insightful exhibition, drawn from the collection of The Israel Museum, Jerusalem. Keri Ataumbi started her artistic career as a painter, then went into jewelry in her late twenties. 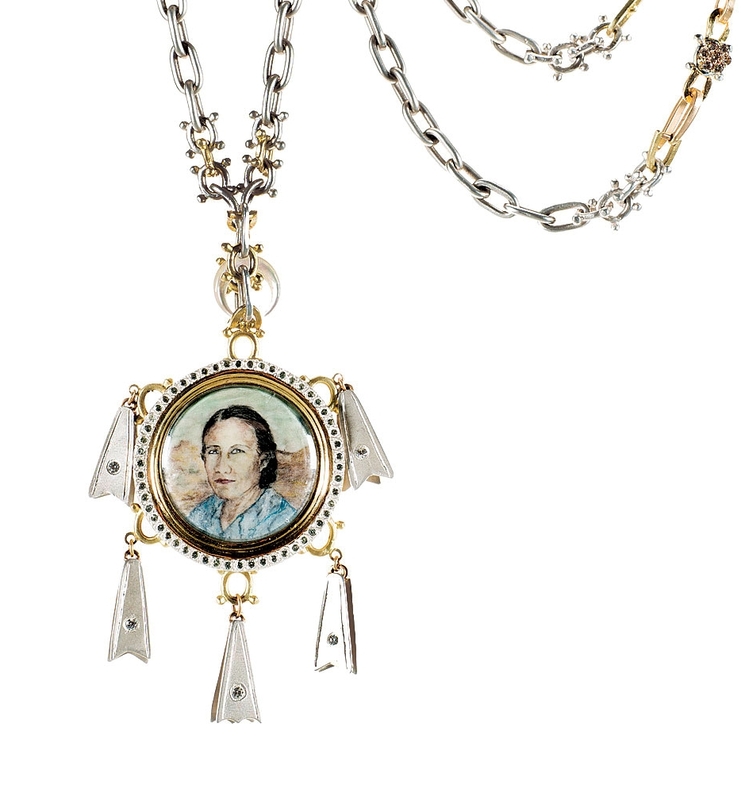 While of Kiowa heritage, her jewelry, often animal themed, does not announce as Native American, but they speak with loving concern and poignancy of her life, family and heritage. 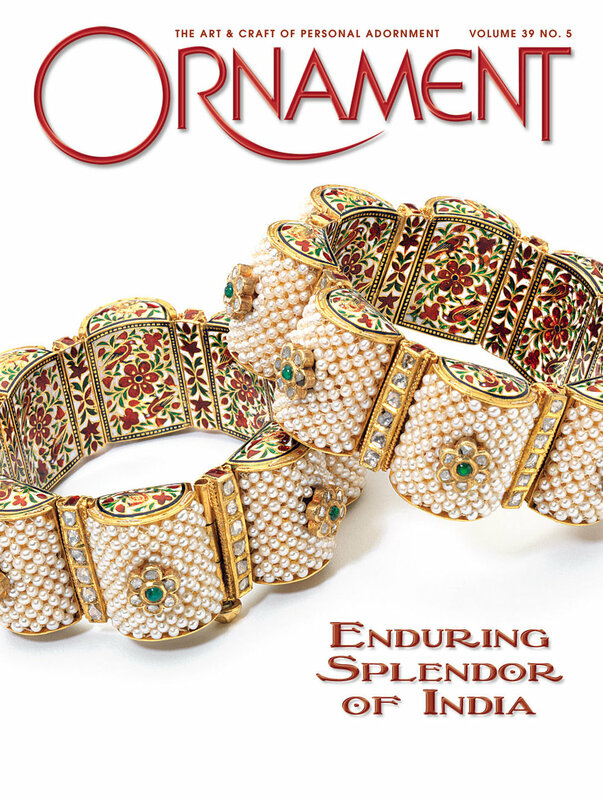 Ornament, in partnership with the Fowler Museum at UCLA, reviews the culture of adornment and jewelry in India, focusing on the states of Rajasthan and Gujarat in the Thar Desert Region. Glen R. Brown illuminates how Dallas, Texas-based Tamar Navama chooses to focus her energies on the challenges and opportunities that a particular substance brings to her ability to create jewelry, in this case, leather. Her solutions are a unique twist on a material that goes back to earliest human use. Hair adornments were a vital part of women's jewelry in many parts of East Asia. Silver hairpins from China illustrate the diversity of this important accessory. Now in its sixteenth year, this annual competition consisting of seven categories, is sponsored by well-known jewelry supplier Rio Grande. It showcases a strong and varied mix of domestic and international jewelers and metalsmiths. For the 2016 Smithsonian Craft Show, contributor Robin Updike compares her own impression of the show to her own experiences at a 1970s southern California craft show, her first exposure to handmade crafts.